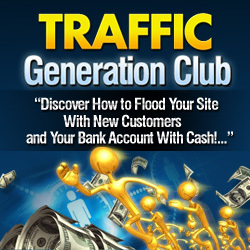 One way to generate traffic to your website is to host a free teleseminar. It’s actually quite easier than you might think. How can a Teleseminar help you get traffic? If you host a free teleseminar on a topic of interest and spread the word, people will sign up for it. Of course, you’ll want to have a web page set up with a newsletter signup box or autoresponder so that anyone interested in the teleseminar can be instructed to sign up to receive call details – and be set up to receive your newsletter, too, of course. How can you set up a teleseminar? You may think that you need to be a techie in order to host a teleseminar. That’s not true. With freeconferencecalls.com and other services like it you can reserve a telephone conference room in minutes. Should you record your teleseminar? Of course. You can use and reuse the recording for years to come, or offer it as a bonus for someone else to use when they sell their products. All you need to do is figure out how to record the call. Here are a few options. You can use an audio service where you pay from month to month to have the ability to dial-in to a phone line and record your own calls. If you plan to host regular teleseminars, this is a perfect option and provides you much flexibility. You can record an audio at the drop of a hat. Or, you can hire someone to come on the call and record it for you. This is the best option for someone who is new to recording teleseminars, and we recommend it for any first-timers out there so you can focus on relaxing and presenting the teleseminar instead of technical issues. What are the other benefits of a teleseminar? Not only can teleseminars help you to get more traffic and build your list, they can be a great way to network with other business people and to show your expertise in your field. Plus, if the teleseminar is free, it can build loyalty in your readers and customers for the long-run. Offer the teleseminar to your affiliates. If you have an affiliate program, give them a special link they can promote so they earn a commission from all sales made during or after the call.